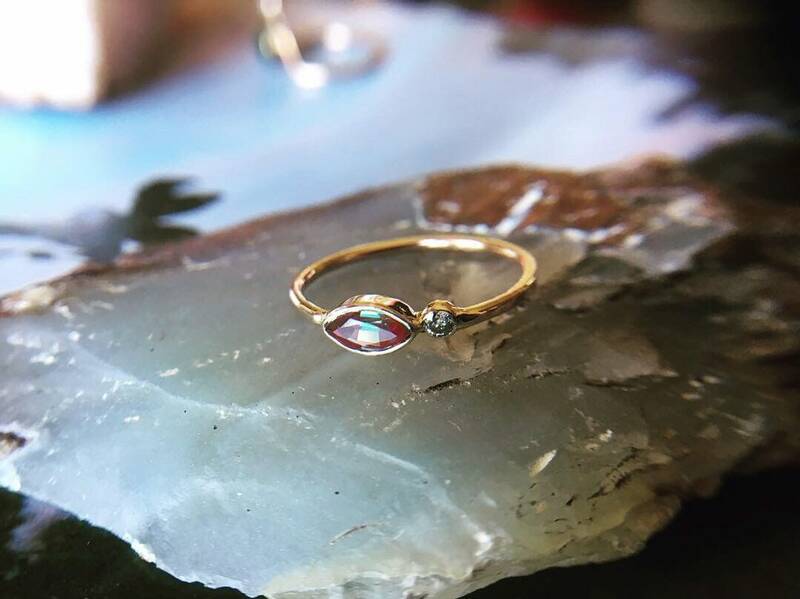 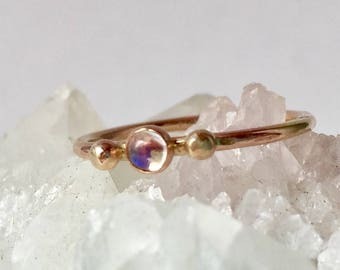 A 6x3 magical color changing lab created alexandrite is paired with an offset salt and pepper diamond in this non traditional engagement or stack ring. 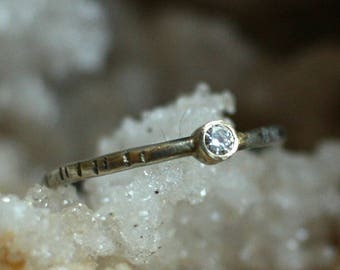 Diamond is ethical and measures 2mm. 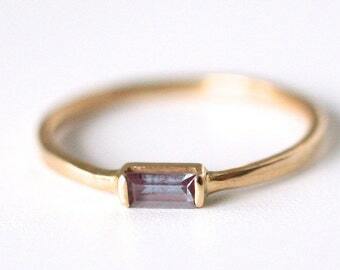 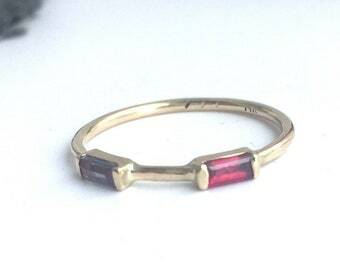 Made to order in your size, in your 14k solid gold color choice (rose, yellow, white.) 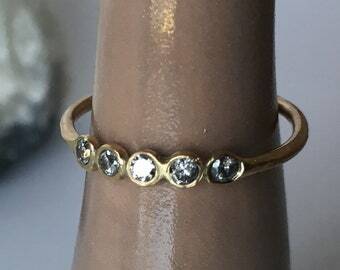 shown in 14k yellow gold.